Restore lost volume, smooth wrinkles, enhance your features, and defy gravity with dermal fillers like Juvederm™, Volbella™, Vollure™ and Voluma™! Looking to accentuate your cheekbones? Plump and define your lips? Smooth a deep wrinkle by your mouth? Or, maybe you are just looking to make your features more symmetrical and youthful in their appearance. Regardless of your intent, dermal fillers offer some of the most safe and versatile options to restore a natural and younger looking YOU! How can people tell a person’s age? Increased number and depth of wrinkles, uneven skin tone, and saggy skin are some of the changes that are associated with aging. But perhaps most important is facial shape. When we are young, our facial shape demonstrates the “triangle of youth” with width around the eyes and a narrow jawline. As we age, we develop a more rectangular or pyramidal appearance with a wide lower face. The goal of many of today’s most popular aesthetic interventions including Botox® and dermal filler is to try to re-create a more youthful heart-shaped face. Skin loses collagen and elasticity as we age. Facial features once accentuated by fullness can become marked by more severe contours and thin skin. In addition, we lose bone mass that influences our facial structure. Injectable Fillers such as Juvederm, Restylane, Sculptra, Belotero and Voluma can restore youthful volume and structure to your face. Unlike BOTOX®, which relaxes the muscles that contract to cause a wrinkle, dermal fillers work by restoring the volume that is lost in our skin. Their effect is immediate and long lasting with little to no downtime. In addition to smoothing out fine lines and wrinkles, certain dermal fillers, such as Voluma, can be used to create lift to the face by providing volume and support. The most common places to receive dermal fillers are the lips, the lines that form around your mouth and nose, cheekbones, under eyes, the temples, and even your hands! For best results, and to increase the longevity of your fillers, your physician may also recommend BOTOX®. These two products work wonderfully in tandem to provide an easy to maintain and youthful appearance throughout the year! Hyaluronic acid is a naturally-occurring substance in our bodies found primarily in joints and connective tissue. 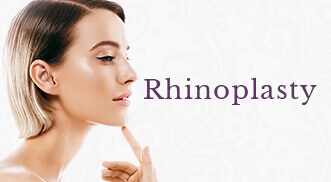 It is a large molecule that attracts water, thus “plumping” the skin. Sculptra was developed after it was noted that skin, when healing around a suture site, would increase its production of collagen, the same component of our skin that we lose as we age. Calcium hydroxyapatite (brand name Radiesse) is similar to the material that makes up bone, but in a dense fluid that can be injected. It is very thick and maintains its shape and placement well, so it is often injected deep in areas where there is noticeable bone loss, such as around the chin. Are you tired of people asking you if you didn’t sleep well or if you’re angry? The deep lines that form on our face over the years from the muscular contractions of our expressions can be sending others the wrong messages, and make us look older than we feel! *In certain cases, our physicians may also recommend a product such as Bellafill, especially in the event of acne scarring. Learn more about Bellafill. Outside of a few pin pricks, dermal filler treatments are surprisingly comfortable and most give instant gratification with very little downtime. Many even contain a mild numbing agent to increase your comfort during your treatment. In certain cases, such as the lips and/or under eyes, your physician may even use a micro-cannula to decrease the chance of any bruising. Unlike a needle, this has a blunt tip that can slide around small blood vessels in your skin. Regardless, it is still recommended that you schedule your dermal filler treatment around any important social events on your schedule. Immediately after your treatment, you may still feel numb and have a little redness. For your convenience, a complimentary mineral makeup touch up is available. It is normal to be slightly swollen and tender for up to a week, or longer in some cases. In some cases, as with Sculptra, you may be asked to massage the area regularly. Most patients find that all they need is an aspirin or ibuprofen for for their comfort. While dermal fillers are a safe solution for someone wanting to rejuvenate their appearance, the outcome is greatly dependent upon the experience and skill of the injector. It is important to make sure the person providing your treatment has been properly trained and has experience treating the desired area. Dr. Tolan and Dr. Griffin are both highly trained in the art of fillers. 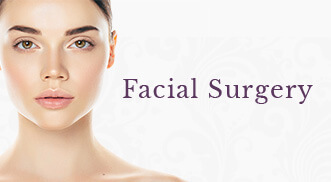 Their expert knowledge of facial symmetry and balance allow them to produce natural, youthful results. We are honored to be a Black Diamond account with Allergan and in the top 1% of all practices which offer BOTOX® and Allergan Fillers in the United States. In addition, Dr. Tolan actively trains other physicians on the proper injection technique of Botox®, dermal fillers and Kybella. *Save on Volbella, Vollure, Juvederm and Voluma by registering for the Brilliant Distinctions Rewards Program! Save even more by joining MRewards! 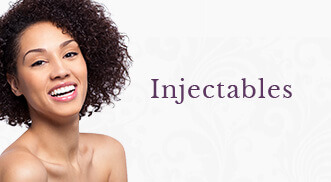 Are you interested in learning more about Injectible Fillers: Juvederm, Restylane, Voluma & More?